Experts in thermographic inspection and Canadian distributor of Optris camera and pyrometer. We are also an Erbessd Instruments Canadian distributor for vibration analyzer, data collector and dynamic balancer. Infrarouge Kelvin is established in Montreal and its surroundings for over 25 years, our specialized service proposal is known for its quality, availability and rigorousness. At your service 24 hours a day, 7 days a week, our experts are there for you. Browse through the list of our services to see how we can fulfil your needs. Someone from our team of experts will be there to support you. 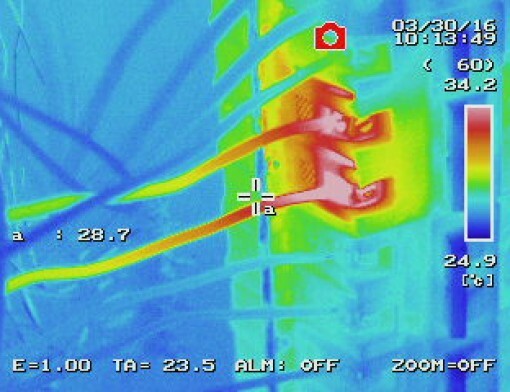 Infrared thermography is, first and foremost, used as a diagnosis tool to detect temperature variations, anomalies and other conditions invisible to the human eye. The main objective of this type of inspection is to make sure that the electrical infrastructure is safe for the workers who have to access the manholes. Objective of reducing the risk of equipment breakdown, production stoppages and reduce the risk of electrical fires. 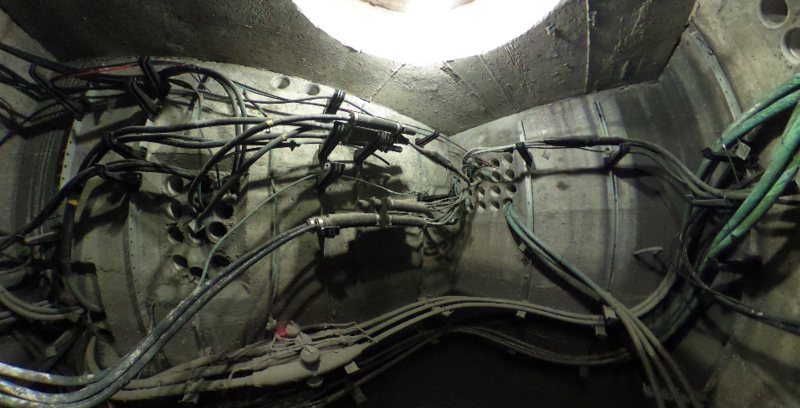 We provided 360 degrees pictures of elctrical underground access manhole. Search for moisture, lack of insulation and infiltration / exfiltration of air from a building. We distribute many specialized product for the industry. Manufacturer of various type of power supply. Infrared thermography is used in many fields: underground access manhole inspection, overheating engine detection, deterioration of bearings, wear and tear, electrical overload and overheating, straps warming up, etc. Here are a few images taken in these situations. The overheating of this power disconnect caused the deterioration of the mechanical components which hindered its proper functioning. 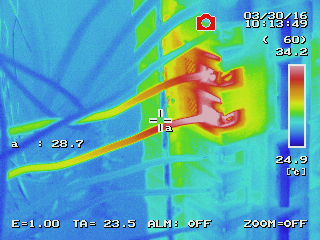 Also, constant overheating started deteriorating wire insulation. The discovery of this problem during a routine inspection allowed the operator to repair the equipment before it caused a production shutdown. 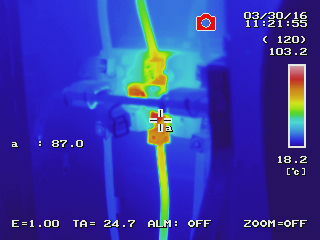 The joint at the end of this circuit breaker shows overheating that is caused by a failure in electrical conductivity. The potential causes are: a loose connection, material breaking in the equipment mechanism or even corrosion. 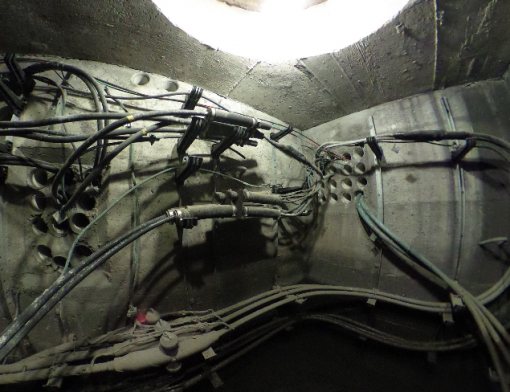 It’s the 360o photography of installations, underground access manholes, or any other element or structure. This technique allows the infrastructure operators to verify the equipment, and to check up on concrete integrity, electrical equipment and the draining system. Some of our customers have been loyal for over 25 years. We dedicate all of our energy to your satisfaction, regardless of the size of your company or your project. ©Infrarouge Kelvin. Tous droits réservés.